The Honorable Justice Stewart may have been referring to something in that famous, and often paraphrased quote, but I think the same thing applies to Steampunk, the cosplay/subculture/fashion/nerdy/sci-fi/fantasy/maker phenomenon where people dress up, design, act out, or otherwise embrace a re-imagined future of a past that never quite was. Steampunk does not define itself and those that practice it will argue over what is “true” steampunk, but the classic example is the old TV show The Wild, Wild, West or H.G. Wells stories or Jules Verne. Mostly Victorian-age fashion with a sense of “high tech” powered by pre-electronic technology. I think I’m turning steampunk. This is not a bad thing. Like any hobby, the thrill of the hunt in finding the right piece for the costume can be exhilarating. The problem is, I don’t know what the right costume is for me. September 11, 2016 is RocCon! Rochester’s, ComicCon & Pop Culture Convention! 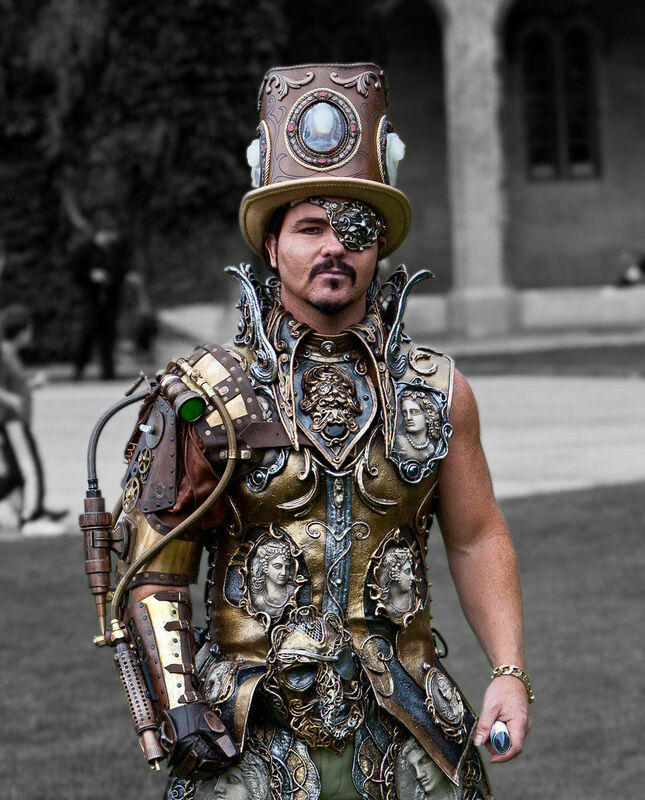 I’ve never been to one, but this year I’m really strongly considering going – in steampunk. I know, I’m late to the party, but hey, I’m adult and I can chose what parties I’ll be late to. For everything else, I’m asking you, my readers, to help me out. Feel free to comment or contact me with any ideas. Pretend I’m new at this and have never done it before. Advice? Thoughts? Traps to avoid? Any good online or local sources for costume bits? Please hurry; the chronometron is ticking.